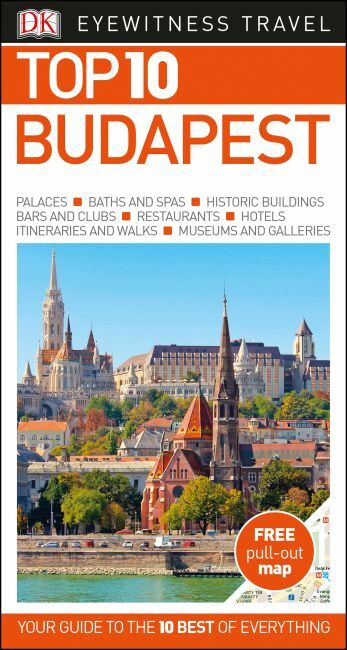 An unbeatable, pocket-sized guide to Budapest, packed with insider tips and ideas, colour maps, top 10 lists, and a laminated pull-out map - all designed to help you see the very best of Budapest. Explore the magnificent chambers of the Hungarian Parliament, take a stroll on peaceful Margaret Island, discover a treasure-trove of artifacts in the Hungarian National Museum, or relax at Gellért Hotel and Baths. From Top 10 shops and markets to the Top 10 Danube sights - discover the best of Budapest with this easy-to-use travel guide. Staying for longer and looking for a comprehensive guide? Try our DK Eyewitness Travel Guide Budapest for more in-depth information.